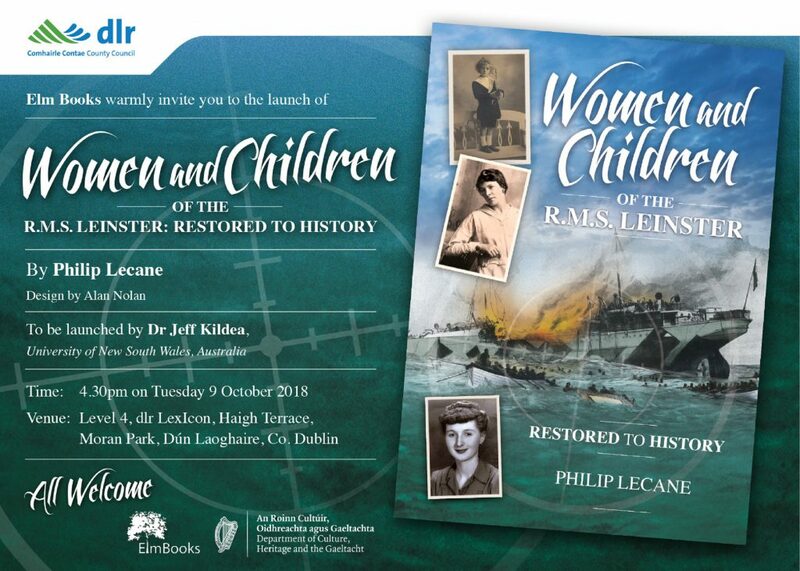 The event takes place LEVEL 4, LEXICON, DUN LAOGHAIRE on TUESDAY, OCTOBER 9TH. AT 4-30 P.M.
on that fateful day, a month before the war finally ended. All welcome to attend this event as part of the 100 Year centenary commemorations of the sinking of the mailboat ‘Leinster’.